The top ten player influencers in the Premier League, ranked by We Are Social. With a combined Twitter following of 44 million, Mezut Ozil, Wayne Rooney and Sergio Aguero make for a formidable strike force in the top player infuencer league table. The top ten is powered by players keen to build their own social brands and those with accounts managed by PRs, We Are Social's group account director Joe Weston explains. "The ranking is a real mixture of those who are passionate about their profiles and are running their own handles, to those who've been encouraged to do so by a brand or agent. It's usually very obvious which is which based on the style and tone of the content, the use of hashtags, the quality of images and so on." Weston added: "Those who relinquish control usually hand it over to their agent, who's the central point in coordinating sponsor activity. Even then you see a huge variation in content, as agents range from family members to professional companies." 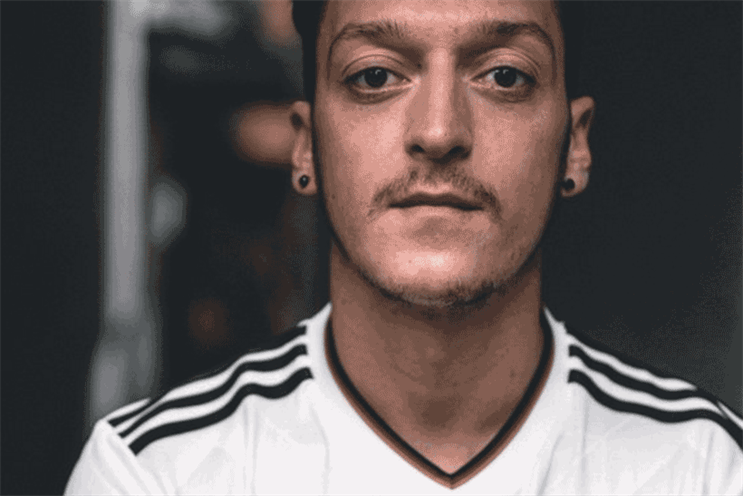 Dr Anna Semens, head of insight at Cake, the Havas sport and entertainment agency agreed but warned of the dangers of short-termism when it comes to individuals sports stars building their brand. She said: "There are still too many players who view their own social channels as a sales funnel down which they blatantly plug a host of sponsorship messages. This is boring and is usually driven by short-term deal driven thinking on the part of the player's management company and/or PR agency. "We're coming to the end of the beginning in this space and the superstar players are emerging as media properties in their own right. Those who formulate longer term strategy will reap huge rewards, and this means acting like a brand, shifting focus from just creating noise to measuring what works and what doesn't, and then giving their fans more of what they want." An emerging trend is the use of player social media channels around big transfer announcements, making these deals a marketing platform in their own right, such as Paul Pogba's then world-record transfer to Manchester United last year. Semens adds: "Social media allows the authentic voice of the player to bypass news media and speak directly to fans. It's particularly useful for players with an international audience, foreign players in the Premier League for example. Done well it can be very effective – this is where young football fans are." But it's the seventh most popular player on social media that Weston believes is the one to watch. Manchester United's Spanish forward Juan Mata, who has recently announced that he is donating 1% of his estimated £7m salary to charity. The Common Goal movement, of whom Mata is the first member, launched a film promoting its aim of creating a "Starting XI" of like-minded players, created by Lucky Generals' sports marketing venture Dark Horses. For Weston, moves like this make Mata "the most interesting player in this top ten". He explained: "He runs his own blog, where he writes a long-form post after each game sharing his thoughts with fans. While the images in his Instagram are professional, the text appears very personal. He's started building his personal brand, as you can see from his Twitter profile picture and cover photo. Others are happy to let their sponsor take centre-stage."